Man of Steel full trailer arrives! In the past I have been hit and miss with period dramas. I don’t know why, but it seems that some of them have a sense of self importance that almost seems to be reflected from the time period itself. There have been some fantastic ones as well, among them Dangerous Liaisons, The Age of Innocence and Remains of the Day to name a few. In 1996 director Jane Campion directed an adaptation of Henry James novel Portrait of a Lady but it never achieved the success of her film preceding it, The Piano. Isabel Archer (Nicole Kidman) is an American free thinker travelling Europe. Isabel is an independent woman who prides herself on not needing a man, despite her being pursued by Caspar Goodwood (Viggo Mortensen), a fellow American infatuated with her. She also carries a connection to her cousin Ralph (Martin Donovan), but after meeting the deceitful and sinister Madame Merle (Barbara Hershey) who pairs her with the smooth and alluring but equally cold Gilbert Osmond (John Malkovich) who succeeds in seducing Isabel. But Isabel soon becomes aware there may be ulterior motives for both Gilbert and Madame Merle. First and foremost, you need to know that Portrait of a Lady is not just a slow movie; it is a deliberate but agonizingly crawling pace. Even the most seasoned of slow paced movie lovers will be tested by Portrait of a Lady. Which is not to say it is bad, quite the contrary, it is a fascinating story of a strong woman being overpowered by insanely sinister people bent on using her for their own means. The performances are excellent across the board, especially by Kidman and Hershey who are both enigmatic and captivating in their polar opposite characterizations. Campion’s direction is steady and seasoned and almost seems to be affected by the period it is filming, always seeming to be proper and deliberate while still spying on every intimate scene with a quiet maliciousness. I think that is why I have always thought Campion’s style perfectly suits the time period stories she chooses to direct, she is brilliant at reflecting the time periods she is filming. Everything about Portrait of a Lady is excellent, but you have been warned, beware the pace. If you can handle that, you can really take a lot away from Portrait of a Lady. The Blu-ray from Shout Factory is decent for an almost 16 year old catalog title, but it is evident that this is not a newly struck remastering. The picture is stable with some nice detail and clarity, but retains a steady grain and has a softness to it as well. This isn’t going to blow anyone’s minds on the hi def front, but is still a nice upgrade from old DVD transfers. For period drama’s I just always want a lush, super detailed transfer to see all the work that goes into sets and costumes. 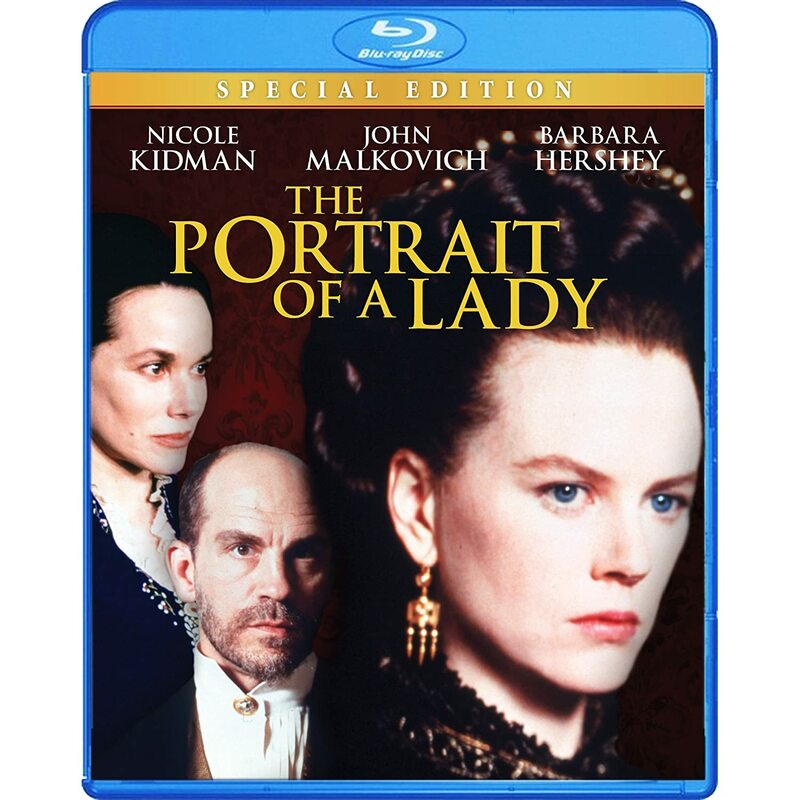 Alas, Portrait of a Lady is not one of those transfers, but for fans of the movie, this is still worth picking up.